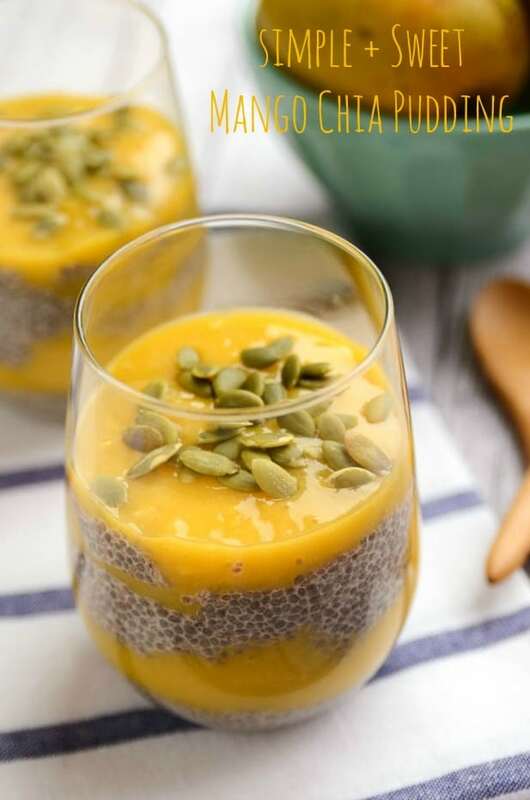 This vegan simple and sweet mango chia pudding is truly divine. 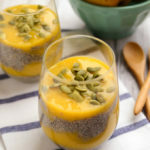 Layers of vanilla-infused chia pudding are draped in a sweet mango cream to create a dessert (or snack) that will have you furiously scooping, scraping, and mmm-ing. In addition to craving greens like crazy since returning home from vacation last week, Dan and I have also been consuming mangoes like it’s our part-time job. While in St. Lucia, we made friends with one of the workers at the resort, and he was kind enough to bring us bags of fresh fruit from his garden twice during our trip. His generous offerings included mangoes, guavas, cocoa fruit, and coconuts, and it was some of the most delicious fruit I’ve ever tasted from one of the kindest human beings I have ever met. We haven’t been able to locate any guava yet, but Whole Foods seems to have purchased a few too many crates of mangoes, because they’re currently selling them for 69 cents a piece. Pretty snazzy deal and even sweeter for those who might consider themselves to be mango addicts like yours truly. 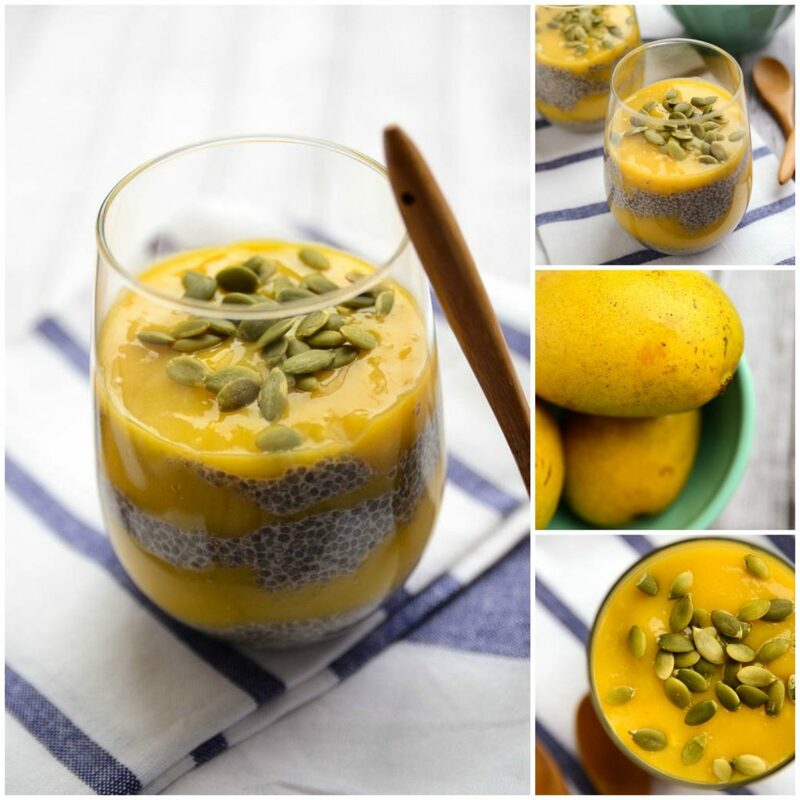 I made sure to gather plenty of the yellow-orange hued beauties while shopping the other day, and whipped up a mango chia pudding yesterday morning. 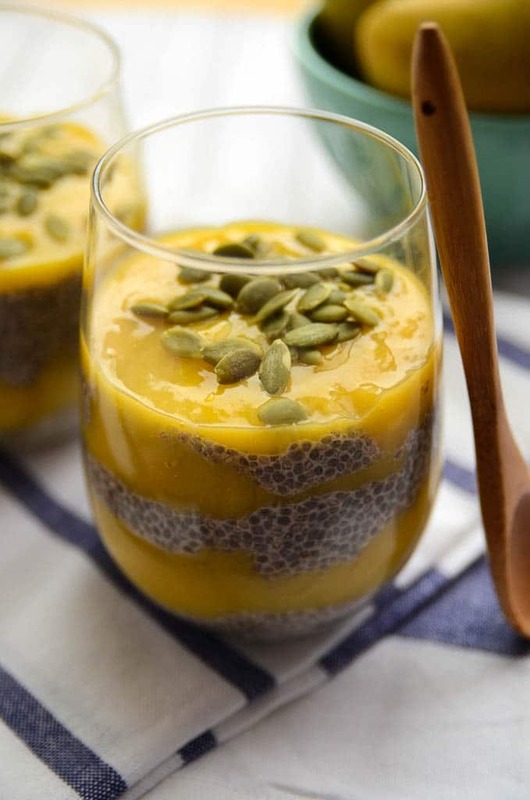 This mango chia pudding is truly divine. 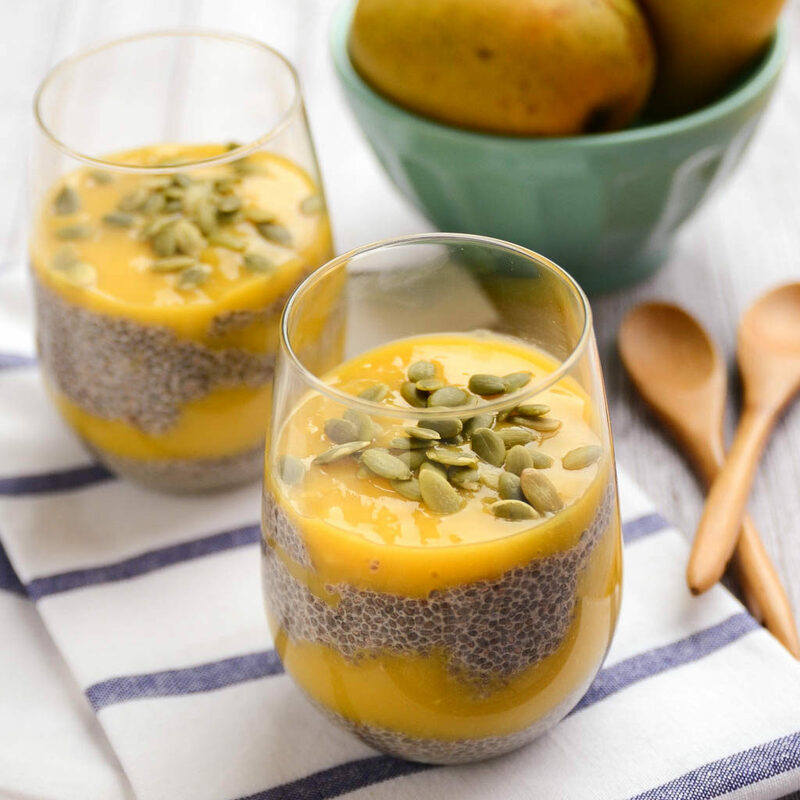 Layers of vanilla-infused chia pudding are draped in a sweet mango cream to create a dessert (or snack) that will have you furiously scooping, scraping, and mmm-ing. It has a perfectly balanced sweet-to-tart ratio, and the texture is absolutely addictive. If it were possible for a dessert to reach enlightenment, this one would be the first to do it. Sweet. Tangy. Creamy. Bright. Amazing. 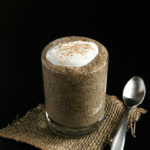 Add coconut milk, chia seeds, vanilla bean seeds or extract, 2 1/2 tablespoons maple syrup, cinnamon, and cardamom to an airtight container. Whisk and refrigerate overnight or for at least 8 hours. 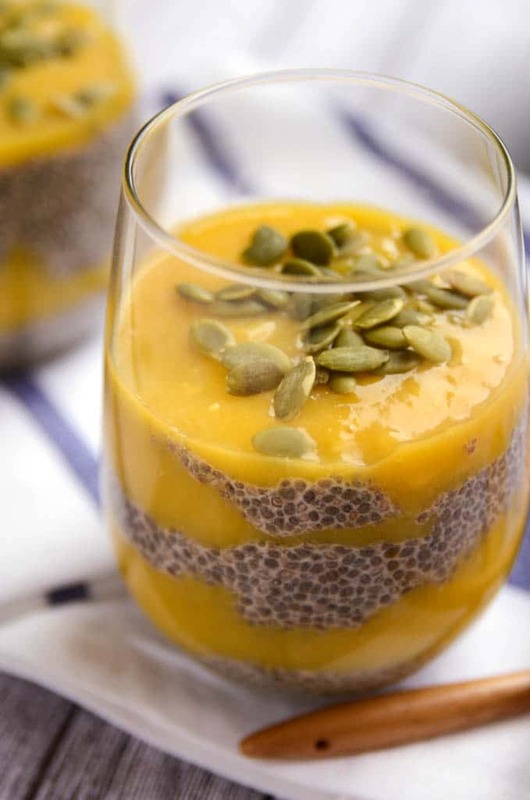 Once your chia pudding is ready, slice your mango and scoop the flesh into a food processor. Add in 1 tablespoon maple syrup and process into a smooth mango cream. 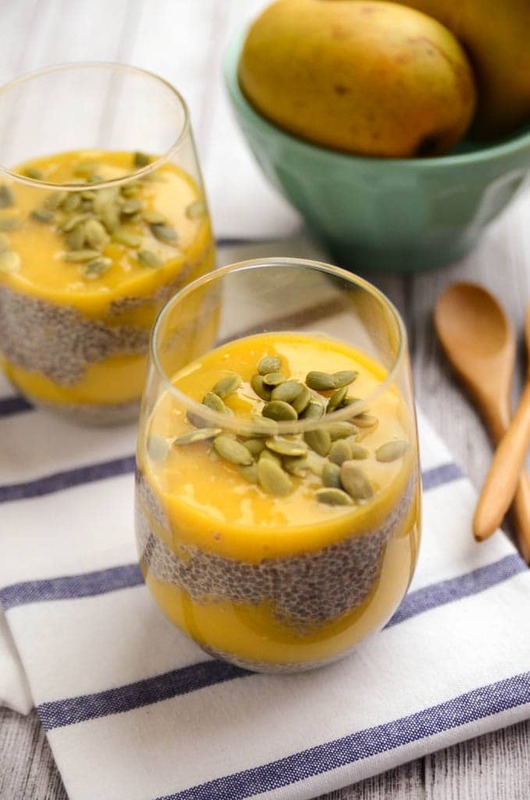 In four small glasses or two larger glasses, create layers of chia pudding and mango cream starting with the pudding. I did 6 total layers or 3 layers of each. 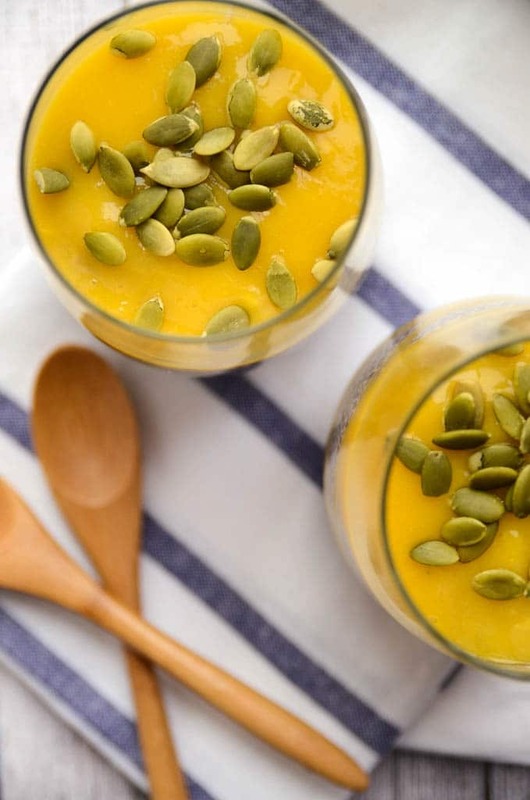 Mango rice pudding sounds delicious! 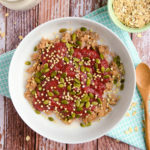 You could definitely have this for breakfast; it’s not overly sweet and it’s full of awesome energy and nutrition, which makes it a fantastic way to start the day. WHOA – this looks amazing!! 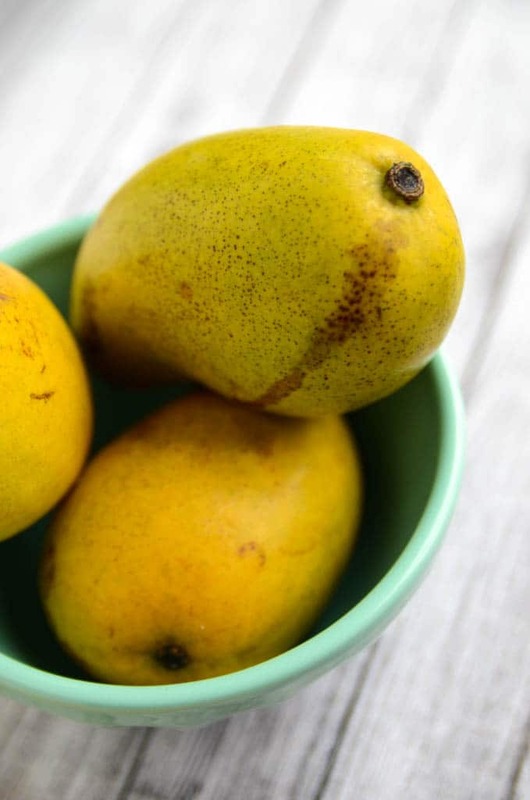 We’ve been crazy into mangoes lately too :) SO excited to try this!!! We’ve made this twice now and LOVE IT. I’m going to try a strawberry adaptation next. Such a guilt-free dessert. I’m so glad you’re enjoying it, Sarah! 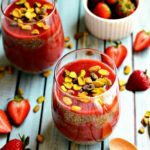 I’ll be posting a variation with a strawberry-cardamom sauce this week, so be sure to be on the lookout for it! Thanks so much for taking the time to comment! is it 1/2 cup chia seeds or 2 tablespoons? Hi Saira, it’s 1/2 cup + 2 tablespoons chia seeds, so closer to 2/3 cup total. I hope this helps! 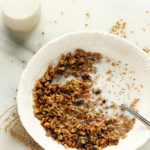 Can you substitute honey for the maple syrup and leave out cardamom? Or are there any other things that can replace the syrup? Thanks this recipe looks great! Thank you! The spoons are from Sur La Table but you can also find similar ones at Whole Foods! Hope you’re able to find them! Delicious. Cut back on the maple syrup and used cashew milk. Thanks!!! So glad you enjoyed it. Thanks for taking the time to share your results and substitutions! I love the idea of using cashew milk as I bet it offers a nice richness. I absolutely loved this! I disturbed this 5 x 8oz mason jars filled about 65%. 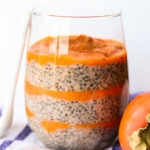 I had some of the chia pudding leftover too which I made my breakfast.. These mango layered ones were one a day snacks/healthy desserts. I’m keeping this recipe close at hand. Happy to hear you enjoyed the recipe, James! Thanks for taking time out of your day to come back and share your thoughts, ratings, and tips—means so much.